CLICK HERE for a personal message from Mark. The Aspergers Comprehensive Handbook is a downloadable ebook designed to help you, the parent, understand every aspect of Aspergers (High-Functioning Autism) and to effectively parent a child with this disorder. 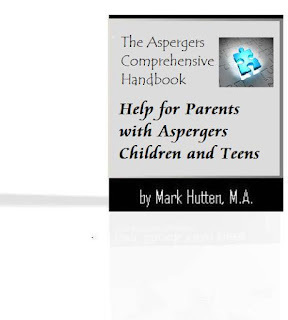 This Handbook is the definitive source for anyone affected by Aspergers. It brings together a wealth of information on all aspects of the syndrome for children through to adults. Drawing on case studies and personal accounts from extensive clinical experience, and from correspondence with children and teens with Aspergers, this ebook is both authoritative and extremely accessible. Parenting children with Aspergers can be a daunting task. This guide will help. Here you'll learn the ins and outs of how to deal effectively with this disorder. In layman’s terms, Aspergers is a developmental disability that affects the way children develop and understand the world around them, and is directly linked to their senses and sensory processing. This means they often use certain behaviors to block out their emotions or response to pain. 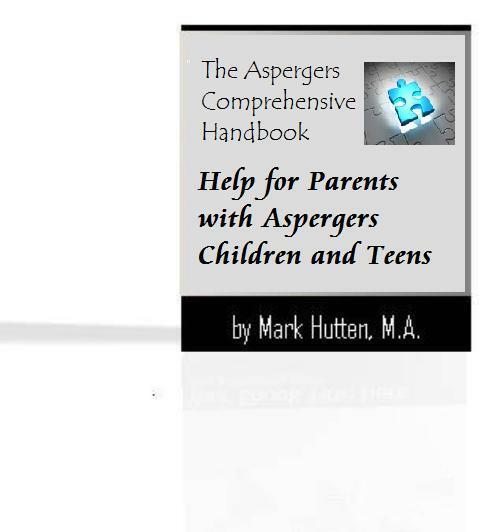 Essential reading for parents with children and teens affected by Aspergers, the Aspergers Comprehensive Handbook (1,190 pages in length) should be on the desktop of anyone who needs to know or is interested in this complex condition. In addition to the Handbook, you will have access to me, Mark Hutten, M.A., as your personal parent-coach. Contact me via email [mbhutten@gmail.com] as often as needed while you begin to implement your new parenting-approach with your child on the autism spectrum. those who have learned that you simply can NOT parent Aspergers children and "typical" children in the same way. Why? Because the mind of an Aspergers child is wired differently than that of a "typical" child. Think of it like this: Let's say you have 3 children. Two of them only speak English, and one only speaks German. You, as a parent, have learned to speak both languages. So, which language will you use when you are trying to get your point across to the German-speaking child? German, of course! But, too many parents are speaking a foreign language to their Aspergers child, and then they wonder why he or she "doesn't get it." It's not that your Aspergers child "doesn't hear" you, rather he or she "doesn't understand" you. When you, as a parent, try to teach your Aspergers child how to behave, you must know how he or she thinks and what language he or she understands. Don't speak "neurotypical" to an "Aspie." 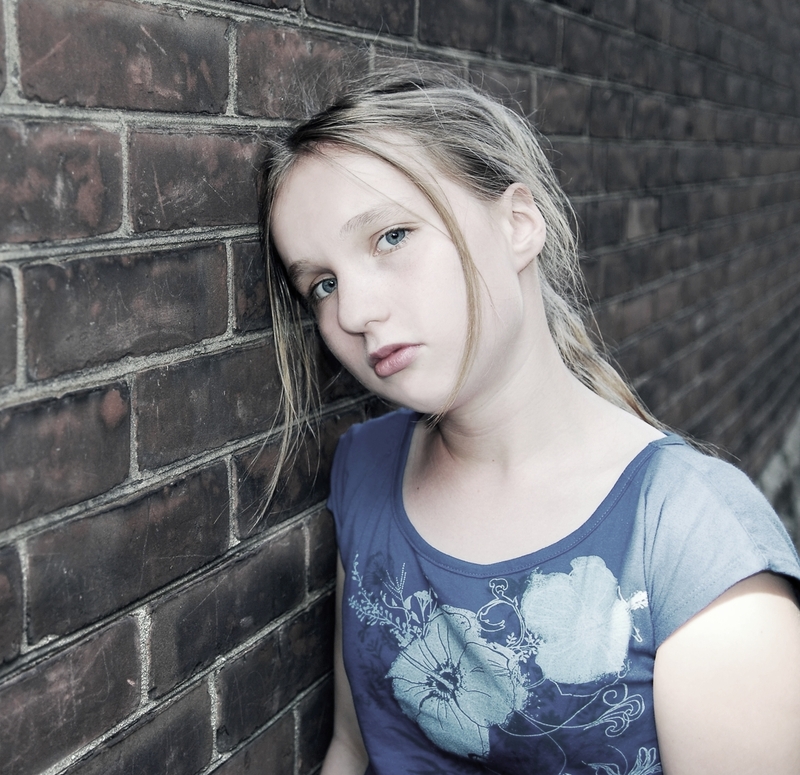 “Typical" children and those with Aspergers may have very different ways of communicating their feeling about life events, including: managing emotions, learning from life events, incorporating rituals and traditions for managing life events, dealing with dying and death, and coping with illness, injury or recuperation. Just because children may process and communicate their feelings differently, though, doesn't mean it's right or wrong. It is best to be honest and literal to help “special needs” children to manage major life events. Provide information and allow them time to process it. A child with Aspergers may have difficulty understanding clichés or expressions and interpret a phrase literally. By speaking directly and factually, like saying "It's easy" as compared to "It's a piece of cake", the child is more likely to understand the line. Aspergers children have difficulty with transitions. So, don’t surprise them – let them know your plans. Body language, facial expressions, gestures, and turning away from someone may be cues that are missed by an Aspergers child. When this happens, it is another opportunity for parents to be direct and factual, realizing that their body language or social cues may not be picked up by their child. Children with Aspergers can manage situations by being aware of what they're feeling and thinking and expressing their thoughts to important adults in their life. Being aware of when they need help - and asking for it - is a good skill to have. 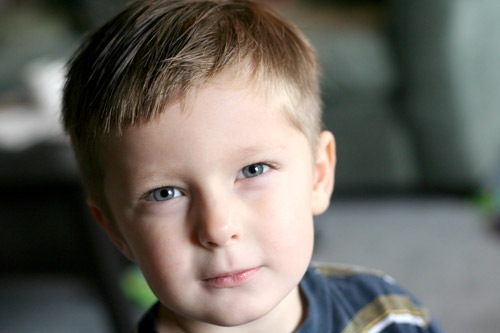 Children with Aspergers take in information from their five senses as do “typical” children. The difference is that Aspergers kids are not able to process it as quickly and can become overwhelmed by the amount of information that they are receiving. As a result, they may withdraw as a coping mechanism. Due to the break of routine with family vacations, many parents of Aspergers children may avoid taking vacations. Steps can be taken to help make for a successful family vacation. One is sharing information with the child, like pictures or internet web pages. There are organizations that will make accommodations, if requested, to better manage uncertainty, crowds, and noise disruption. This includes theme parks who allow “special needs” children to skip long lines and airlines or airports that may allow for a dry-run prior to the trip. Also, prepare prior to the trip so that there is a plan for managing boredom. Many children with an autism spectrum disorder are hypersensitive to changes in sight, touch, smell, taste and sound. The sensory stimulus can be very distracting and can result in pain or anxiety. There are other autistic children who are hyposensitive and may not feel extreme changes in temperature or pain. Each of these has implications for making an autism-friendly environment. Since change of routine can be quite anxiety-producing for many Aspergers children, a structured, predictable routine makes for calmer and happier transitions during the day. Social stories have been a great method to communicate ways in which my Aspergers child can prepare herself for social interaction. Talking about - or engaging in - activities that the Aspergers child cares about is a great way to bond with him or her. When you find out that an Aspergers child may not be able to look you in the eyes, realize that he or she is not trying to be rude. It’s simply uncomfortable for some of these children to do. Testimonial: "Thank you so much for your help, your ideas really managed to open my eyes and to see from another perspective. I have learned a lot about my Aspie son – and myself too, and I now know how to speak to him whilst keeping in control of the situation at the same time." Testimonial: "The Aspergers handbook has turned out to be one of my most straight forward and informative resources I have ever read. The persuasion tactics and secrets you've shared are exceptional. Good work!" ~ John, U.K.
Mark Hutten, M.A. is a practicing counseling psychologist and parent-coach with more than 20 years’ experience. He has worked with hundreds of children and teens with Aspergers and High-Functioning Autism. He presents workshops and runs training courses for parents and professionals who deal with Autism Spectrum Disorders and is a prolific author of articles and ebooks on the subject.